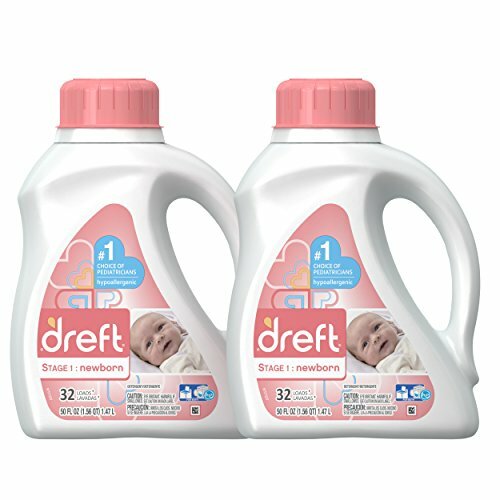 #1 Pediatrician-recommended and hypoallergenic baby detergent, Dreft Stage 1: Newborn HE Liquid Laundry Detergent is perfect for cleaning all your newborn's delicate clothes. These clothes include onesies, baby booties, baby socks, shirts, dresses, hats, coats and bibs. Stage 1 is also perfect for other baby fabrics, including bedding, blankets, sheets, towels, bedding, swaddlers, burp cloths, cloth rattles... the list goes on! If you have any questions about this product by Dreft, contact us by completing and submitting the form below. If you are looking for a specif part number, please include it with your message.